Before WhatsApp voice and video calls took over, Viber chat app was the primary resource for making audio calls over the internet. If you are an Indian, and have friends or family abroad, chances are you installed Viber on your phone just so that you could avoid those hefty ISD charges. Now, however, WhatsApp has taken over, and we aren't sure if a lot of people are still using the app. Viber wants to change that with a brand new subscription feature that it has announced. Similar to WhatsApp, to use Viber, you need to add your mobile number so that other users can connect with you. 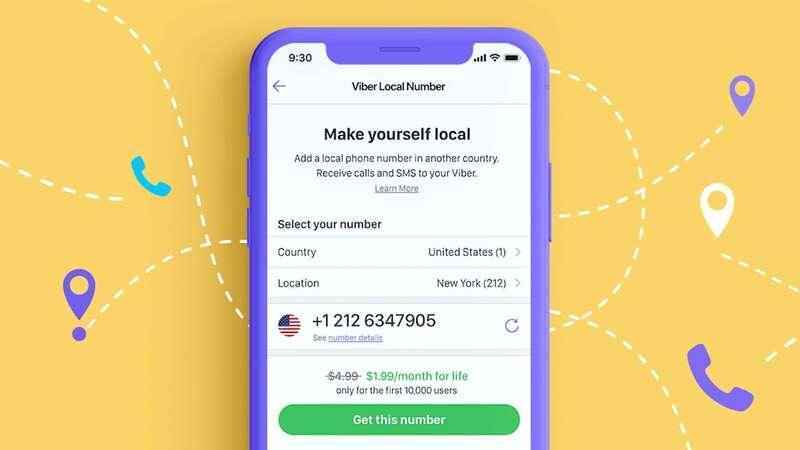 With the Viber Local Number subscription service, however, users can pay $4.99 per month to access a local telephone number for anyone outside of Viber to call or SMS. As of now, the service is in closed beta. Viber Local Number as a service is available to anyone globally, but the registered numbers, for now, are only available in the US, Canada and the UK. Viber plans to roll out the service to more markets soon. Per the FAQ section on its site, the first 10,000 users will be able to pay a discounted fee of $1.99 per month indefinitely for the service whereas post that the charges will be $4.99 per month. According to a report in TechCrunch, Viber Local Numbers are aimed at business people or someone who wants to offer customers a local number, despite not being in that particular region. This is valid only in countries where users are not required to show address proof before taking numbers. The service is currently working only on inbound calls in the US and pricing for outbound calls hasn't been announced yet.